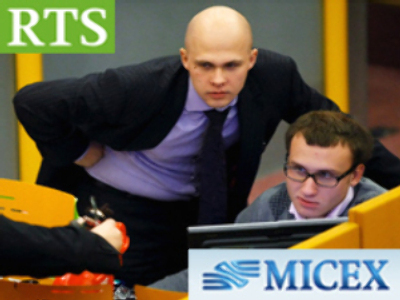 Russia’s RTS and Micex exchanges have opened sharply lower on Wednesday with sliding crude prices, combining with overnight losses on Wall Street and a weak Wednesday performance in Asia, outweighing the start of government share buying. Crude oil fell in the wake of further data showing a decline in demand from the US, with petrol consumption down by 6.4% from a year earlier according to a Mastercard report. Brent and Nymex crude futures are now once again down below $70 BBL despite the mounting expectation that OPEC will vote to cut production when it meets later this week. Despite plea’s from political leaders in the U.S. and Europe the oil producing cartel is expected to agree to cuts of up to 1 million barrel per day. The fall in crude has hit Russian stocks with Gazprom, Lukoil and Rosneft all more than 4% lower at 11.00 Moscow time on the Micex. Also down are Severstal (down 4.7% on the Micex at 11.00) and Rostelecom (down 6.2%) and MTS (down 4%) with Polyus Gold proving some shine with a 6% gain. The falls in Moscow come in the wake of a mild fall on Wall street with the Dow shedding 2.5% and the Nasdaq 4%. That flowed through to Asian trade where the Nikkei closed more than 6% lower, and with the Hang Seng also down more than 6% in late afternoon trade. Adding to the gloom is early trade in Europe where banking and oil stocks are under renewed pressure which sees the FTSE 100 down more than 2% with resources stocks under pressure, the Dax down 2.6% with Thyssenkrup 3% lower, and the Cac down 3% with steelmaker ArcelorMittal down 5%.